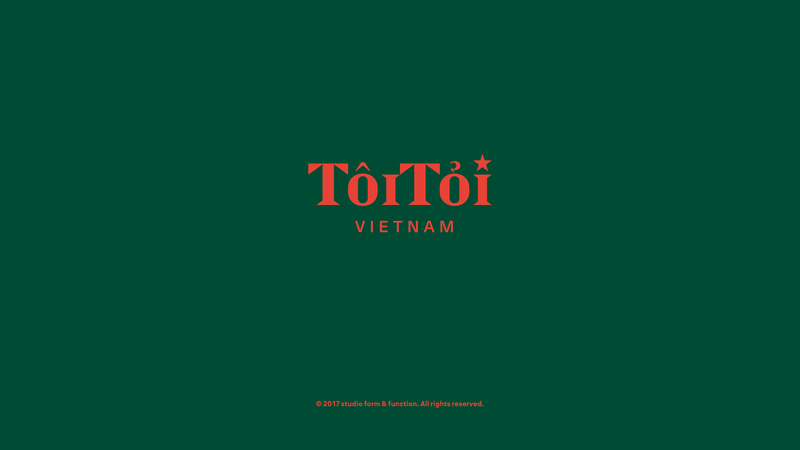 Baby it’s cold outside. 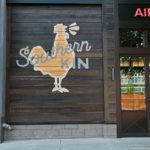 The tempurature here in Atlanta has dropped to a dreary 39 degrees and I’m craving something to warm my cold heart. 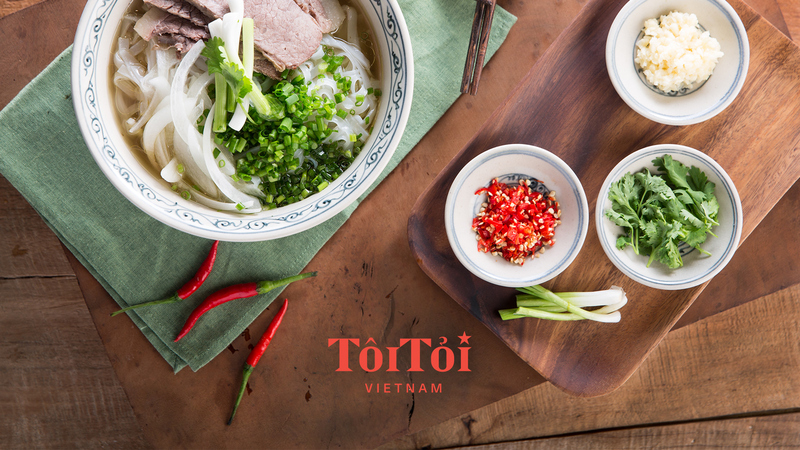 Pho is one of my favorite cold weather foods, the savory broth combined with the rice noodles warms me up and reminds me of ordering giant bowls while the snow falls outside with my friends in Colorado. 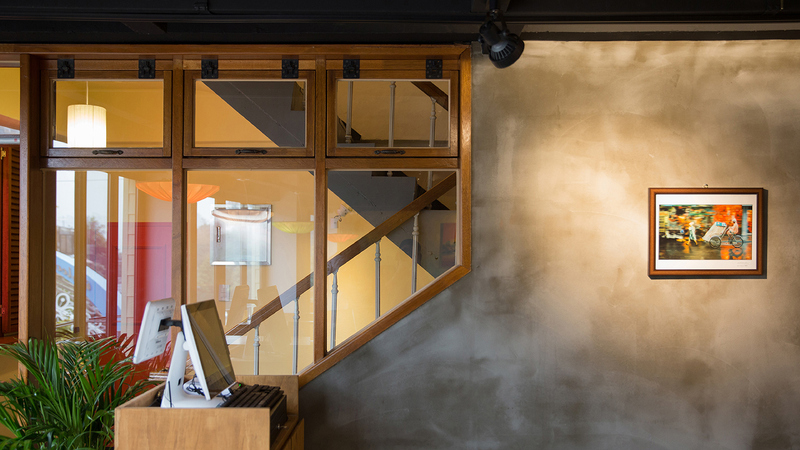 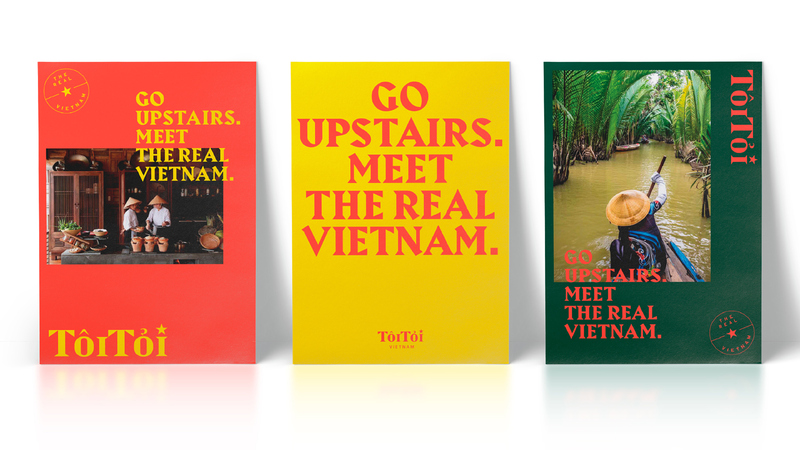 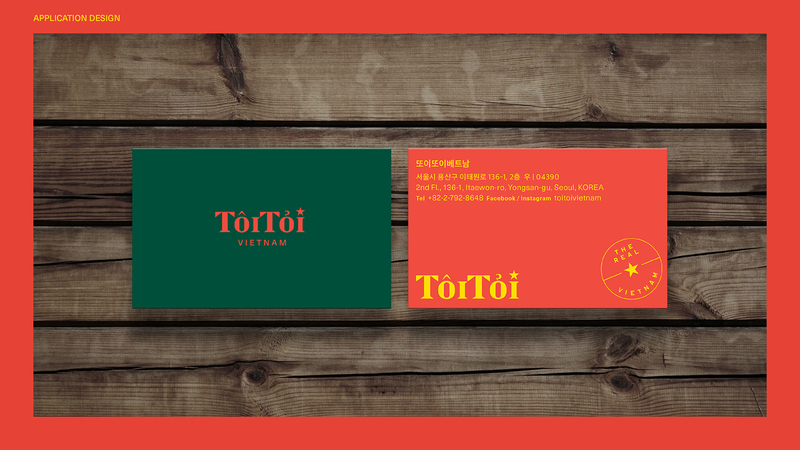 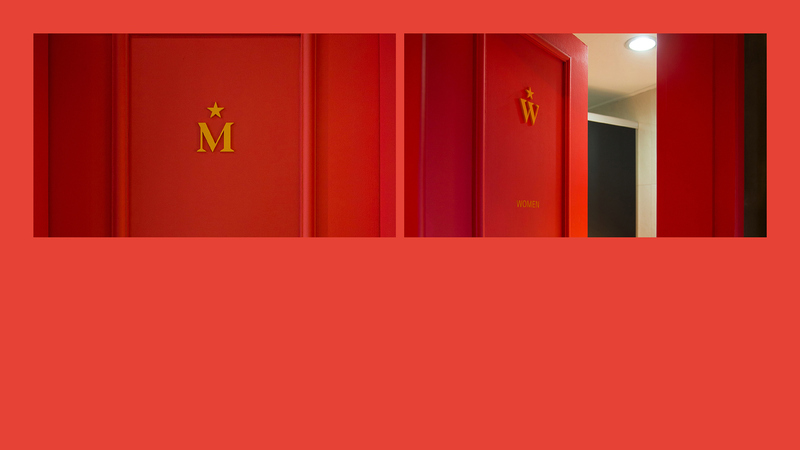 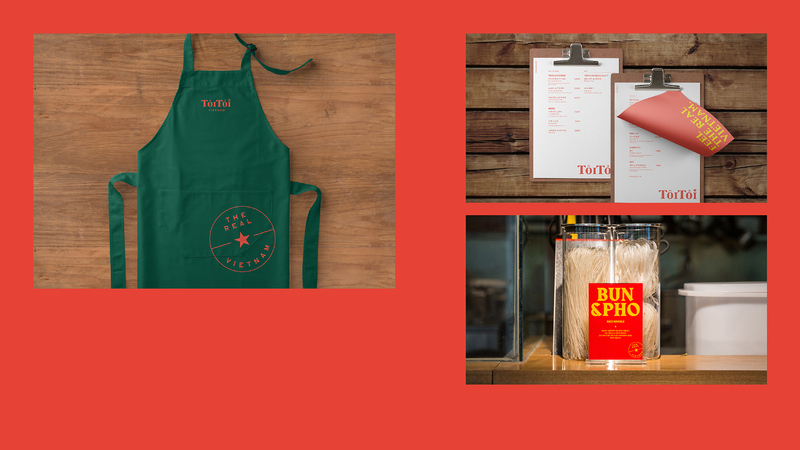 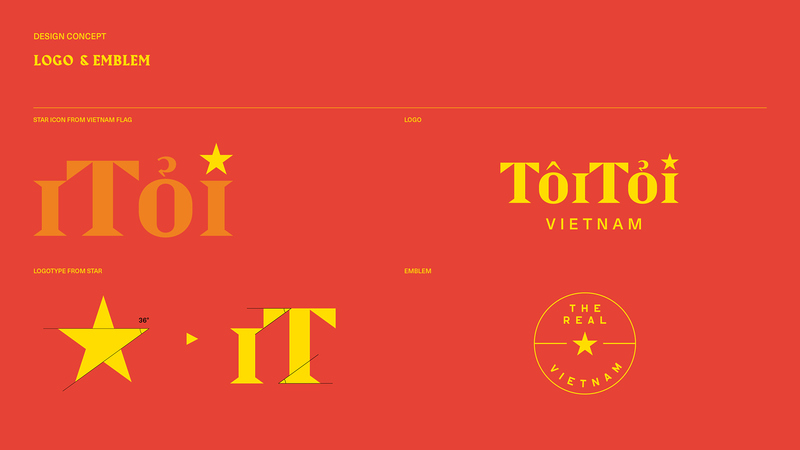 With all that said, check out this lovely Vietnamese restaurant branding by Form & Function in Seoul. 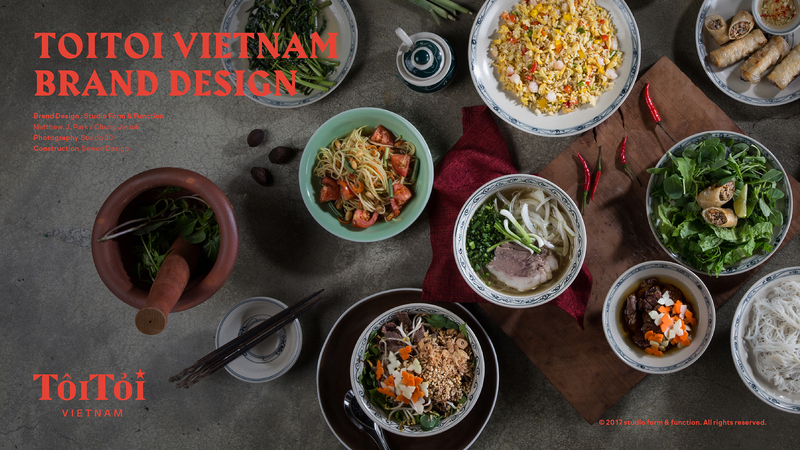 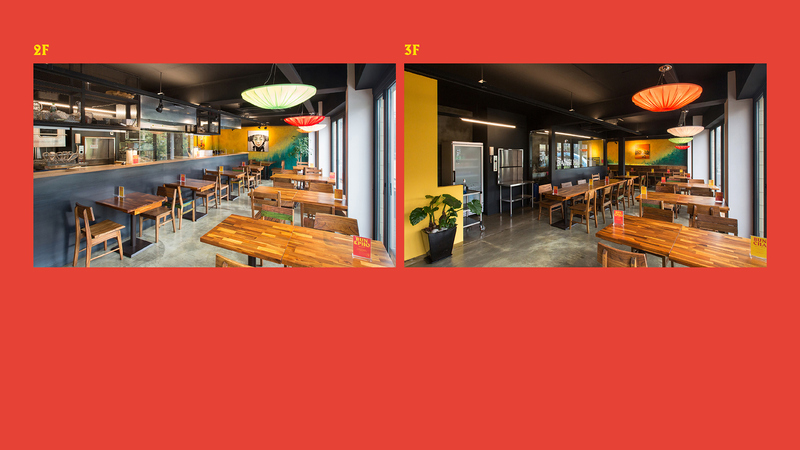 Co-Operated by Blue Butterfly and Orchid restaurants from Hanoi, Vietnam, they know exactly what they’re doing when it comes to establishing highly rated Vietnamese food in South Korea. 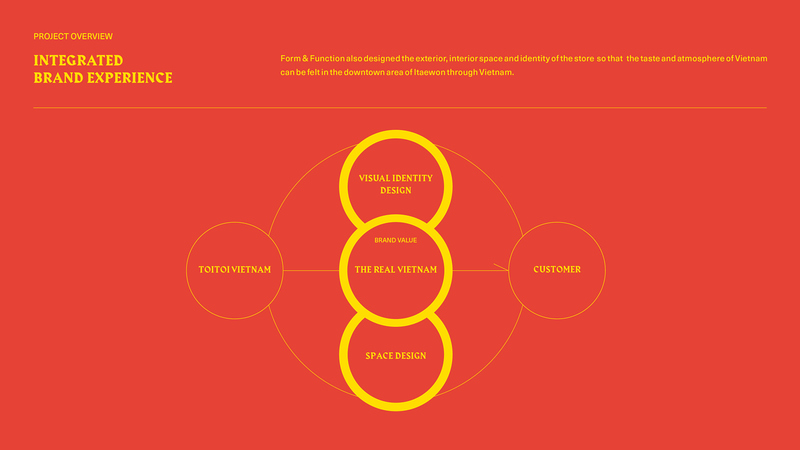 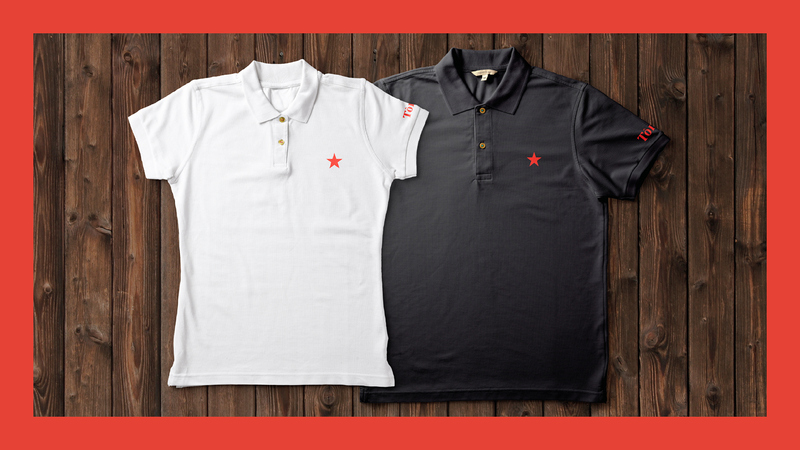 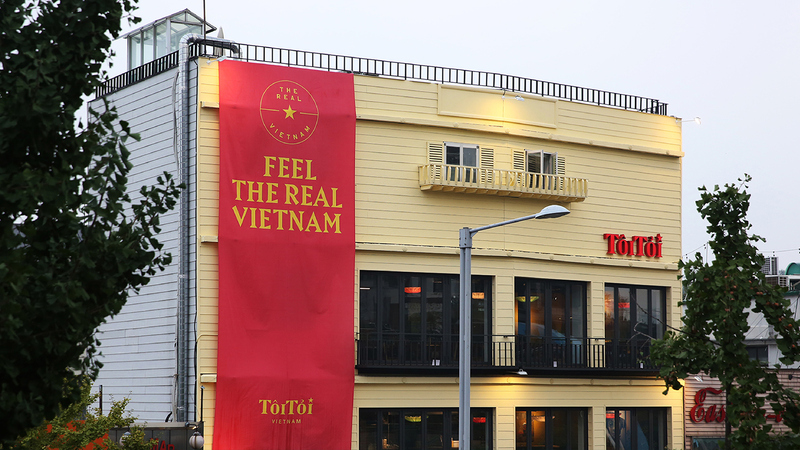 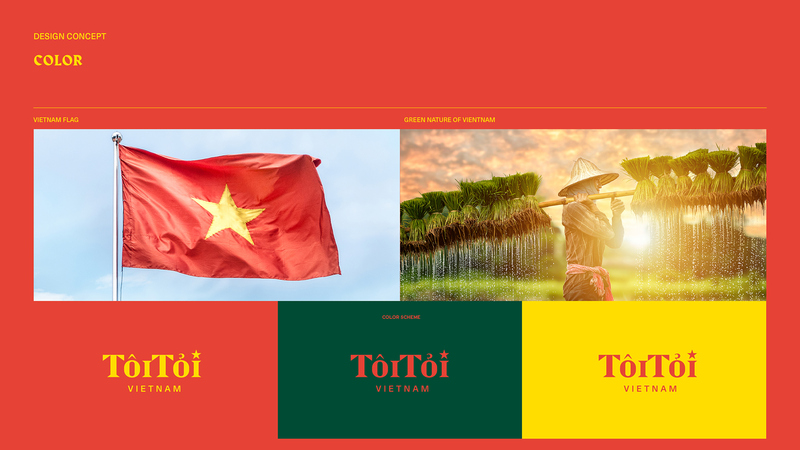 Walking through their design choices, colors and logo inspired by the Vietnamese flag and the lush landscape are the building blocks of this brand. 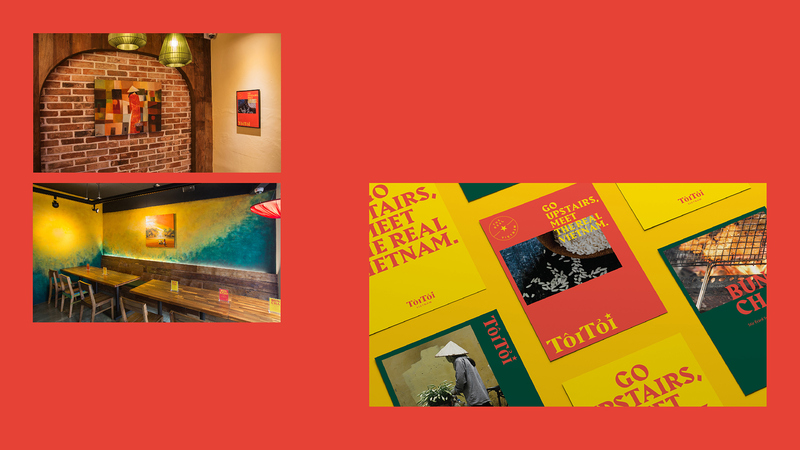 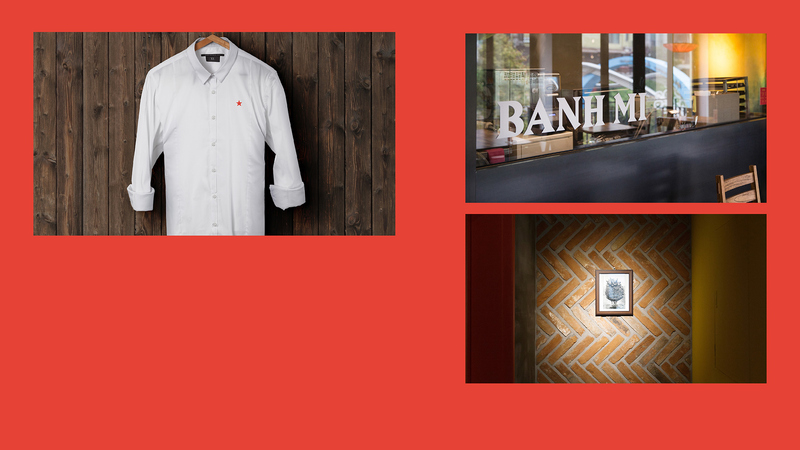 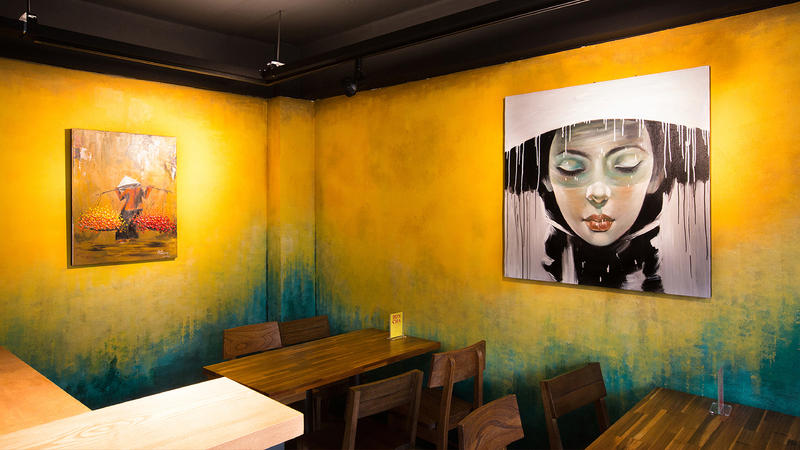 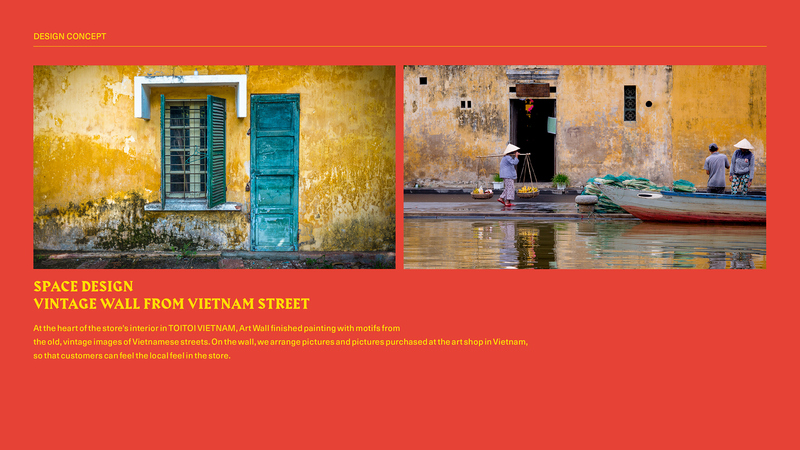 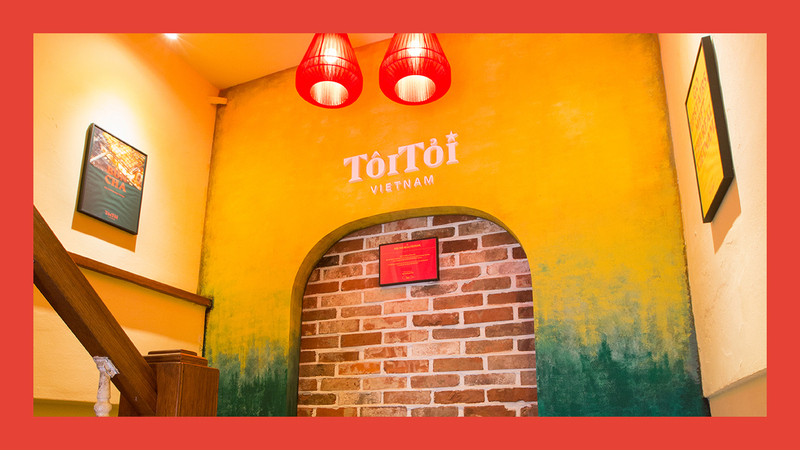 The walls were painted and Vietnamese art was brought in to bring local street culture to the store. 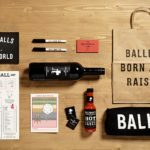 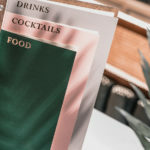 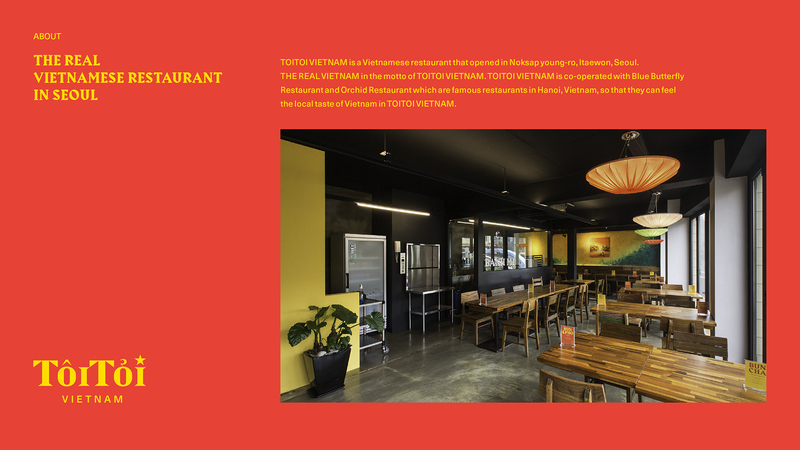 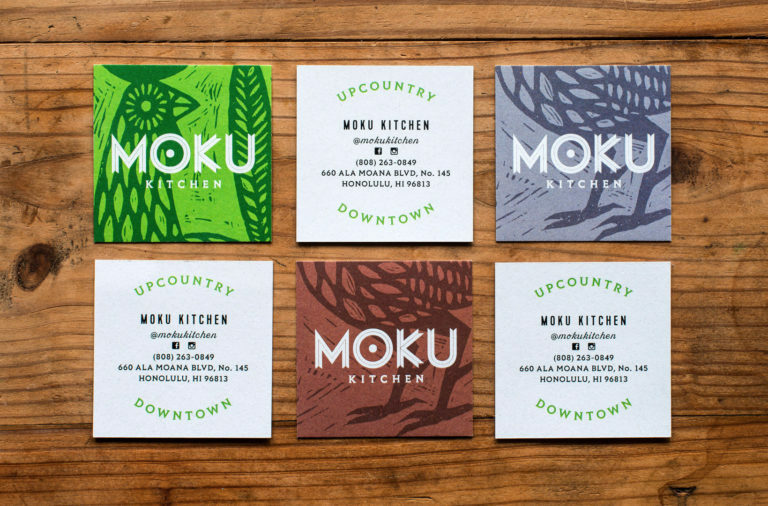 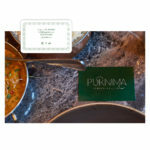 To me, the interior design doesn’t feel the same as the branding identity, but overall I really like that Form & Function has done for this restaurant and local online reviews speak louder than design.